The way to make $100 million dollars on Wall Street, so the old joke goes, is to start with $200 million. Or you could trade oil. 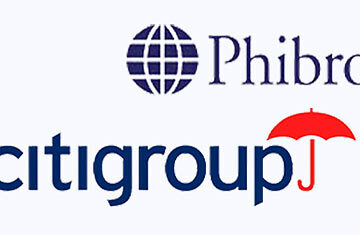 In early October, Citigroup sold its commodities-trading division Phibro to energy company Occidental Petroleum. Citi was motivated to dispose of the unit because of pressure from regulators to curtail the pay of Phibro's top trader Andrew Hall, who made $100 million last year, and reportedly has a contract that would award him roughly the same amount in 2009. Oxy declined to comment on Hall's compensation. But the energy giant says Hall will remain with the unit at Oxy. Hall had threatened to leave Citi if his pay was cut, which means Oxy is probably honoring his contract. Says an Oxy spokesperson, "We hope and expect Phibro to continue to do well financially and that Mr. Hall and his colleagues will do well financially." At Citi, the controversy surrounding Hall's pay was about whether a bank that has received $45 billion in government assistance should be turning around and handing over big bags of cash provided by taxpayers, most of whom won't make one-tenth of Hall's annual salary in their entire lifetimes, to its employees. But now that Hall has left Citi, a larger question remains: Is anyone really worth $100 million a year, and what exactly do you have to do to deserve that much? The answer to the first question, at least in Oxy's mind, appears to be yes. The answer to the later question is, once again, get to Wall Street. While the amount Hall would have gotten paid is unusual even for Wall Street, how he got paid is not. Hall had a pay package with Citigroup that guaranteed him a percentage of the profits of his group. Recruiter George Stein of Commodity Talent says it's normal for traders to get paid as a percentage of their division's profits. Most contracts guaranteed traders around 9% to 11% of their group's profits, before compensation. What's unusual about Hall is that he reportedly receives as much as 20% of his unit's profits, which sets him up for much bigger paydays than the rest of the Street. Hall's success in calling the oil market is what has led him to demand higher pay than most. In 2003, Hall had the belief that the price of oil would rise dramatically in the next few years. Back then, oil was trading at around $30 a barrel, and coming out of a recession few thought prices would rise anytime soon. So Hall bought so-called long-dated oil-futures contracts that would pay off if the price of oil topped $100 at some point in the next five years. Because Hall made a bet oil would reach a price that few could imagine was possible, he was able to buy the contracts cheaply. It was a risky move. If the price of oil never reached $100, the contracts would expire worthless. Instead, when oil topped $100 in 2008, Hall's Phibro division made a bundle, far more than he would have made had he just bought oil, or one of the many oil exchange-traded funds (ETFs) that individuals and even some professionals like to trade. In fact, much of Hall's ability to produce outsized profits for Citi comes from the creative ways he had found to make money off the oil markets, doing things that would either be impossible for the average small trader or that most traders just won't think of. Earlier this year, for instance, Hall and his traders rented a tanker and filled it with 1 million barrels of oil. Oil prices were down, but most traders thought they were going up again, so futures contracts pegged to distant-month deliveries were expensive. The better deal was the real thing, and with the shipping business mired in the recession, Hall was able to get a tanker to park offshore somewhere with his oil for a very modest sum. "You were able to get a better price if you were willing to take possession of the actual commodity, but it's much riskier," says Rachel Ziemba, a senior research analyst at RGE Monitor. When the price of oil recovered Hall made as much as $40 million on that one trade alone. Hall has also reportedly been buying gold this year. Another good move. Inflation fears recently pushed gold above $1,000 an ounce. "Most commodity traders would love to have Hall's ability to call the large trends," says Stein. "He had a long-term view of the market and he was right." Reforms after the financial crisis were supposed to dramatically downsize what bank executives  including hotshot traders  get paid. But a year later, little seems to have changed. Banks, which have roared back to profitability this year, look poised to dole out billions of dollars in year-end bonuses for 2009. Alan Johnson, a top Wall Street compensation consultant, estimates that Wall Street Christmas pay will rise 35% from the figure a year ago. That means Wall Street bonuses could total as much as $19 billion. Pot-of-gold paydays at financial firms are about to become a hot topic  again. In the next week or so, Kenneth Feinberg, the U.S. Treasury Department's special master of compensation who is scrutinizing pay packages at bailed-out banks, is expected to release a report on the 75 top pay packages at the seven firms that have received the most government support. Feinberg may say some of the salary deals are too rich and need to be reduced. In the next month or so, financial firms will decide what they will pay their employees in year-end pay. Bonuses at Goldman Sachs, for instance, are on track to average over $650,000 per employee. Many people will get paid much more. Johnson says if Hall had stayed at Citigroup he might have been the only person at a top bank to receive a $100 million payday this year. But plenty of other folks will come close. He estimates that about 100 investment bankers and traders will receive a bonus of $10 million or more in 2009. For all its problems, Wall Street still seems like a very good place to work. Read "Should Executive Pay Be Regulated?" See photos: "The Demise of Bernard Madoff"